India and the USA have been using Yoga-therapy in the army for a long time. The Ministry of Defence has decided that doctors in the military will be taught Yoga-therapy, Qigong-therapy, and acupuncture. The Main Military Medical Directorate of the Ministry of Defence is adopting oriental medicine techniques. For the better treatment of the sick and wounded, they will now be using techniques of Tibetan, Indian, Uighur, Buryat and Yakut folk medicines. Specialized rooms will be opened in every medical facility soon. Training specialists in the field of Oriental Medicine will start from next year at the Moscow Branch of the S.M. Kirov Military Medical Academy. The teachers at this institution will attend refresher courses in the Beijing University of Chinese Traditional Medicine. The new methods of treatment involve the introduction of traditional Chinese medicine, Qigong-therapy, traditional Indian Ayurveda and Yoga-therapy and Sujok-therapy (acupuncture). Military experts believe that using a combination of these techniques and modern principles of treatment for the sick and wounded will reduce the amount of strong drugs that are administered to patients, and sometimes avoid using them altogether. “The decision to use methods of traditional oriental medicine was made by the Main Military Medical Directorate of the Ministry of Defence,” Colonel Vyacheslav Polovinka, head of the Moscow Branch of the S.M. Kirov Military Medical Academy, told Izvestia. “The Moscow Branch of the Academy has established the Department of Integrative and Oriental Medicine. Here we teach techniques such as osteopathy, phyto-therapy, and Sujok. Such practices will be used in all health and rehabilitation facilities of the Ministry of Defence, on the basis of systematic recommendations approved by the Main Military Medical Directorate. However, this does not mean that the Ministry of Defence will stop using antibiotics, surgical intervention and will now turn to shamanism. In the next year, in the course of training of our staff in China, we plan to expand our skills and develop new methods and techniques. Integrative medicine involves the use of combined techniques of Eastern and Western medicine in diagnosis and treatment. “We are studying the experience and subtlety of oriental medicine, which evolved over thousands of years, and are trying to integrate them into our standard treatments,” said Polovinka. “To help military doctors, we have developed a unique electronic textbook and a manual called Selected Questions on Oriental Medicine. These explain the history and practices of the main methods used in the treatment of patients in eastern medical schools. Our manuals systematize this knowledge and help focus the attention of the doctor on the health and recovery of the patient, and not only on the disease and its treatment. 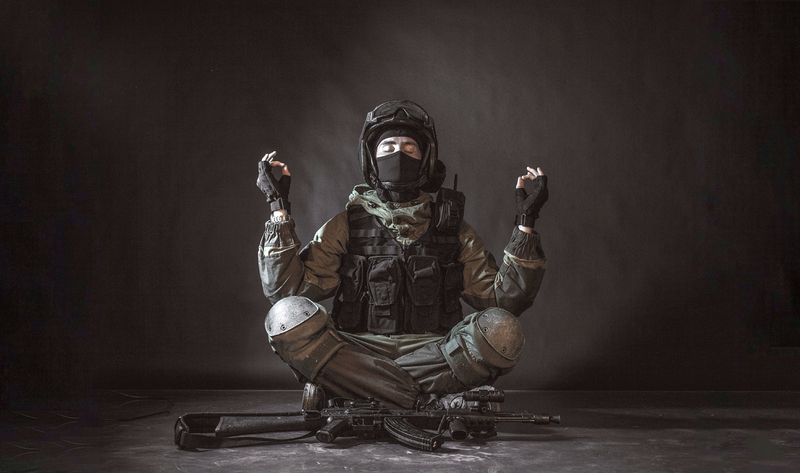 Zhanna Usova, head of Gravi Yoga Club, said India and the USA have been using Yoga-therapy in the army for a long time. Yoga replaces aerobic and strenuous exercises. According to Usova, Yoga trains strength, endurance, agility, flexibility, and enhances immunity. “The application of Yoga-therapy, in conjunction with traditional medical methods, such as physical therapy and physiotherapy, greatly facilitates rehabilitation after an injury, and reduces the postoperative period after a stroke,” Anastasia Leonova, a teacher of Hatha Yoga and Yoga-therapy at the Retunsky Yoga Studio told Izvestia.